If you’re looking for the best upright exercise bike, you’ve come to the right spot. Here are the top 6 upright exercise bike reviews to help you decide. Do you love riding a bike but can’t get outside due to your schedule or the weather? Learn how a spinning bike may be a great alternative and how to find the best one! The best recumbent exercise bikes give you all the benefits of a cycling workout without stressing your joints, allowing you to feel the gain without pain. For both young athletes and seniors – recumbent stationary bikes are your best option for indoor exercise. Looking for the best folding exercise bike? Our comprehensive buying guide to best foldable exercise bikes will help you find the perfect bike for your needs. This in-depth article explains every facet of stationary and exercise bikes from their creation to their many uses and everything in-between. Read this review to discover the tools and features the Schwinn 130 Upright Bike offers that can help you met your fitness goals. Learn how unlimited resistance can help you burn fat and build stamina by reading this review of the Schwinn AD6 Airdyne Exercise Bike. Are you looking for a simple exercise bike? Read this review to find out if the Marcy Upright Exercise Bike ME-708 is what you’re looking for. 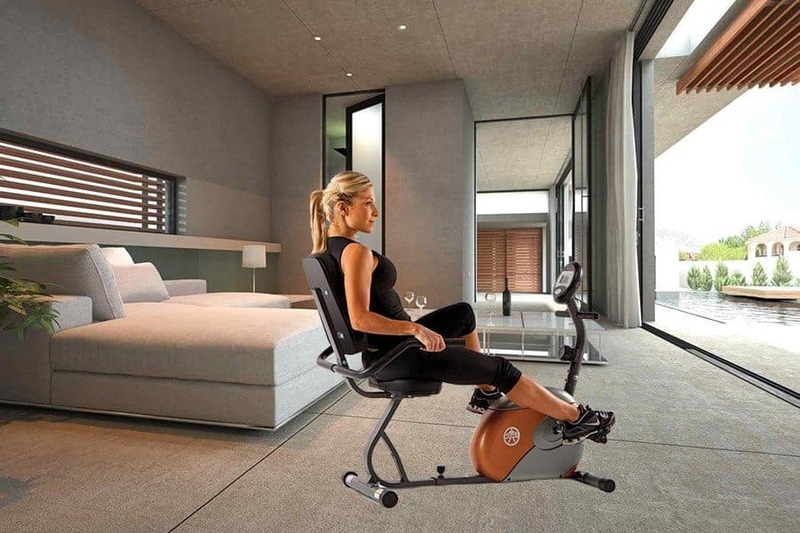 What Should You Choose: Upright, Recumbent, Or Spin Bike?